With Valentine’s Day right around the corner, now is the time to shop for your special loved one. 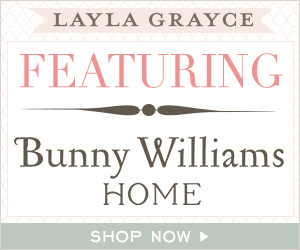 Layla Grayce is offering 15% off Valentine’s Day gifts with promo code 15pink. Here are a few gift ideas! The Kendra Scott Valencia Necklace in Pink Agate is stunning and would add a cheerful pop of color to any outfit. The Little Luxuries gift set features three of MOR’s indulgent travel-size beauty products. The set includes a triple-milled shea butter soap and rich hand cream to nourish, hydrate and perfume. A sheer gloss lip silk completes this decadent trio creating an impressive gift for mom, a friend or yourself. The Love You Madly Art proves a simple statement can evoke instant emotion in any room. Don’t miss your chance to shop this great sale and save 15% on all your Valentine’s Day gifts! I really like the Little Luxuries gift set!! I love earrings and pink and red are my favorite colors. Pretty earrings, thanks for sharing! OMG!! can you hint around to my boyfriend to get me these earrings please??? LOl, pink is my favorite color!! These are gorgeous earrings. Pretty in pink for real. I like the pink layla jewelry, very elegant & feminine at the same time. lol I think I’m going to need to point my husband in this direction 🙂 love the elegance of these pieces!